Automatic parking (or park assist) uses sensors and/or cameras to scan for a suitable parking space and park the car automatically. It controls the steering while the driver controls the pedals. Self-parking systems vary between manufacturers but they will typically scan for a suitable parking space (either parallel streetside or in a perpendicular bay), below a certain speed after you press the park assist button. 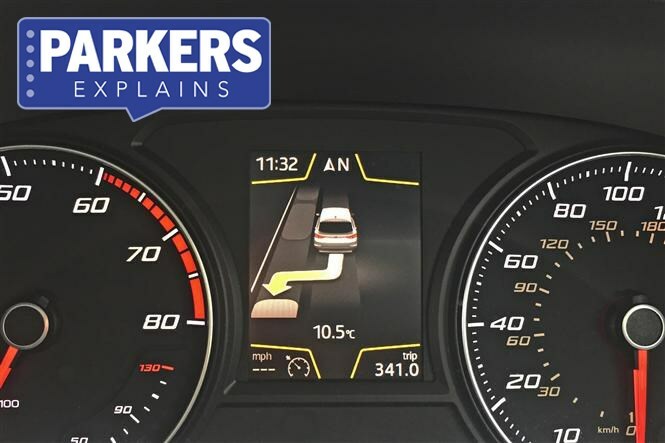 In some cars, you’ll need to use the indicator to select which side of the car you intend to park and, once it detects a suitably-sized space, it’ll begin instructing you what to do next. By following instructions displayed on the dash, the car will steer itself into the space while you – the driver – control the accelerator and brake pedals. Once you’re in the space, the car will tell you to take over the controls and bring the car to a stop. In some cases, in parallel parking manoeuvres, the car will be able to get you out of the space as well, although this is usually just part of the way before you must take over. If you want the most advanced parking systems, look to something like the BMW 7 Series which can be parked via the car’s digital display key (you don’t even need to be in the car). That all depends on how confident a parker you are. If the thought of parallel parking fills you with dread, park assist could be all you’ve ever dreamt of. It's not the fastest system to operate, but is impressively accurate and takes a lot of the stress out of manoeuvring into tight gaps. Automatic parking is especially useful if you live somewhere with tight on-street parking, for example. Otherwise, you’re probably better off without. Using the system can be time consuming, especially if you’re doing it with a queue of traffic behind you. In some cases, you’ll be quicker doing it yourself, plus you’ll have to spec it as an optional extra in most cases. You can get self-parking functions across a wide variety of models, from the Vauxhall Corsa and Ford Focus to the Mercedes E-Class and Volkswagen Tiguan. Parking sensors, Park Assist (Volkswagen Group), Active Park (Ford), Parking assistant (BMW).